This past weekend I gave a lecture at Food Blog South in Birmingham, Alabama. The title of my speech was “10 Food Blog Posts That’ll Get You Traffic” and though I was slightly nervous going in–this was my first time both attending and speaking at a food blog conference–I felt validated, after it was over, by the many people who thanked me for my presentation. Turns out, after nine years of food blogging, I have something to say on the subject. What follows, then, is basically the speech that I gave with images thrown in for good measure (I didn’t use PowerPoint when I spoke, so everyone just had to look at me and my colorful shoes). Hopefully the food bloggers among you will find this helpful. So before I begin, it’s important to be clear: though I’m going to share the 10 Food Blog Posts That’ll Get You Traffic, not every food blog post needs to get you traffic. In fact, it’s more important that you just blog than that you carefully design each post to be a traffic-seeking missile. Having a food blog means having a pact with your readers, readers who are often bored at work or frustrated watching their kids at home and need some kind of escape. If you don’t offer up a few posts a week, you’re denying them the very thing they were seeking in the first place when they subscribed to you. So blog often, that’s the most important thing, and if your posts get you traffic in the process, even better. The other thing that I want to say, before I begin, is that this post is about the micro-level of blogging: individual posts. What probably matters more is the macro-level: what’s the idea of your blog? The concept? The name? The hook? If you haven’t figured that stuff out, writing great posts may not be as effective. For more advice on that front, see the posts on my “How To” food blogging page. This is the bread-and-butter of the food blog industry, the kind of post 99% of food bloggers attempt when they start blogs. They buy fancy cameras, they set up fancy light equipment, and hope and pray that their beautiful version of blondies (like mine above) will bring them fame and fortune on the web. Unfortunately, that’s not how it works. With so many food blog posts out there, your beautiful roast chicken is impossible to differentiate from the hundreds of other beautiful roast chickens that come up when you do a Google search. So the question becomes: how do you stand out? My answer: style. Look at 101Cookbooks. Any time you go to Heidi’s blog, you know right away where you are on the web. No one else’s food blog looks like that and that’s the result of a carefully crafted design aesthetic, one that makes you feel like you’re visiting another world. And that’s key. The best food blogs (see also: Smitten Kitchen, Pioneer Woman, The Wednesday Chef) transport people away from their desks into another realm entirely. You can achieve style with design (think font, graphics, banner, etc. ); you can also achieve it with language. 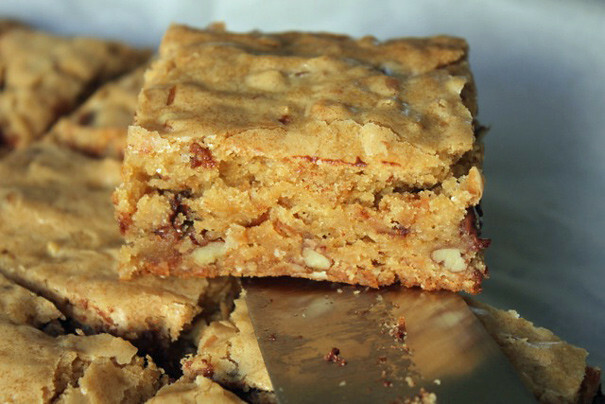 I think David Lebovitz is the perfect example of someone whose beautiful recipe posts are beautiful not only because of the pictures (which are great) but because of the words that surround those pictures. They’re totally his and his alone. So if you want to get traffic the traditional way with the most typical of food blog posts, make sure you do it with style. Otherwise you’ll get lost in the shuffle. This is something I’ve attempted but never really succeeded at (see, for example, my raw rhubarb daiquiri above). If you’re the kind of person who can come up with original recipes, who feels more confident in the kitchen than at your computer, it’s possible for you to design a recipe that’ll get you tons of traffic just by the concept alone. The best example I’ve ever seen of this is the recipe for Slutty Brownies that comes from The Londoner, but which was then adapted by What’s Gaby Cooking. Here’s the concept: a layer of chocolate chip cookie, a layer of oreos, a layer of brownie. That’s it. But it’s just the kind of thing that goes viral on the web, the kind of thing anyone and everyone can flip out over. Bake sales? Check. Oscar party dessert? Check. 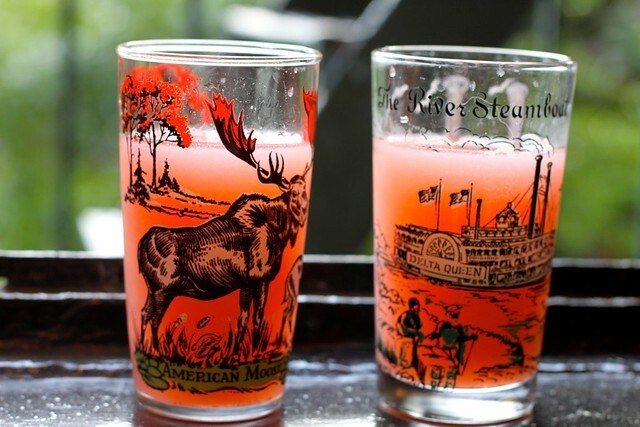 A novel recipe will get you traffic; if you can come up with something like that (and not something like a raw rhubarb daiquiri) you’re in great shape. As many of you know, my career began when Janet Jackson showed her breast at the Super Bowl. 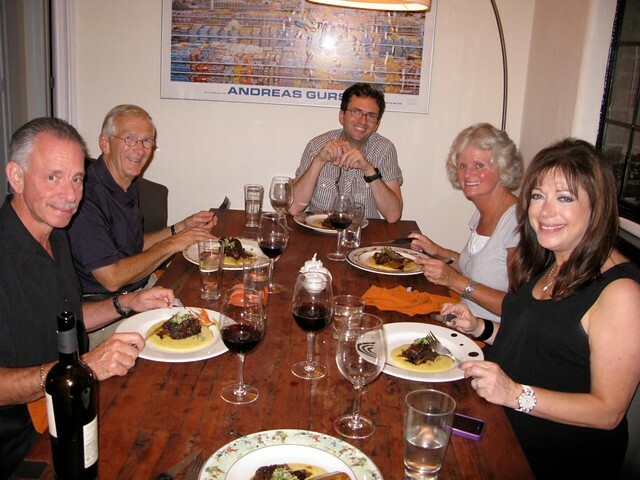 At the time, I was a floundering food blogger with about 4 to 5 readers (including my parents and my roommate). Then, on a whim, I made a Janet Jackson Breast Cupcake, put it up on my blog, and after coming home from school the next day, saw that I’d had 70,000 hits and an e-mail from CNN saying they wanted to come over to do a story. This is an example of tapping into the cultural zeitgeist at just the right moment. If I’d made that cupcake a year later, it would’ve produced a shrug; but because I made it just after it happened, with all kinds of people talking about it on TV, in magazines, on the radio, I hit the jackpot. What’s really cool about doing a pop culture recipe post is that it pulls in all kinds of readers from outside the food world; people came to my site from CollegeHumor.com, Instapundit.com, etc. Many of them stuck around even though they weren’t the kind of people who normally read food blogs. So it’s a good way to find a different kind of audience too. 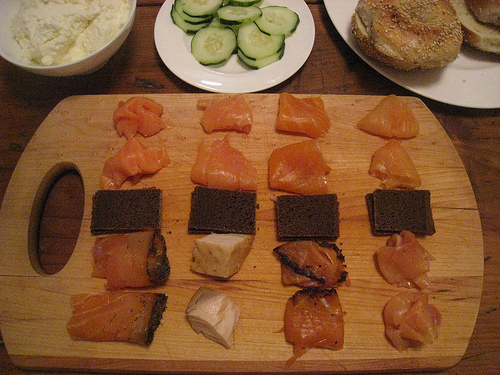 My friend Matthew Horovitz once wrote a guest post for me called The Science of Fressing. It remains the most carefully researched post ever to appear on this blog; it also generated lots of traffic, including a link from New York Magazine’s Grub Street. 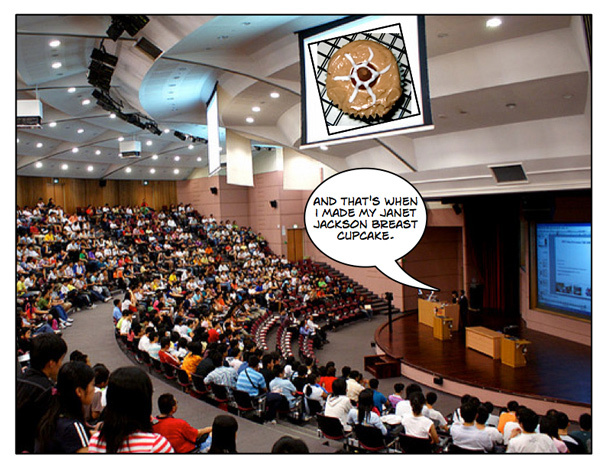 In case you couldn’t tell, I’m not a researcher (I’m more of a breast cupcake kind of guy). So if you’re more left brained than right brained, consider writing a carefully researched post. The master of this was another one of the speakers at Food Blog South, Kenji Lopez-Alt of The Food Lab. His deconstruction of the In-N-Out Double Double Animal Style is a masterpiece of the form. Doing a carefully researched post doesn’t necessarily mean having to be a scientist. You could also buy all the different canned tomatoes in the supermarket, make tomato sauce with each of them and reveal the results Cooks Illustrated style. It’s a good way to do a post if you need to give yourself an assignment to generate content. 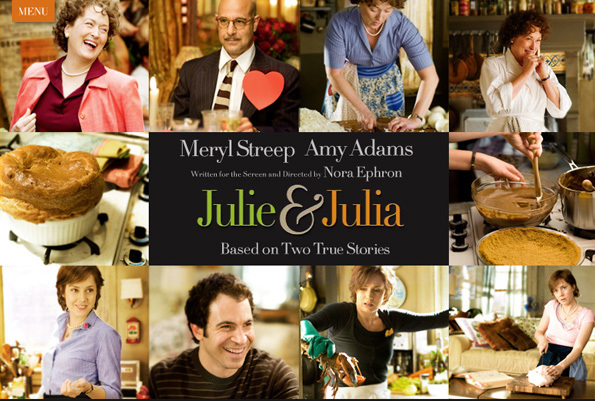 The grandmother of food blogs is, of course, the Julie/Julia Project which taught us that audiences love it when you give yourself a challenge and follow it through with emotionally forthcoming, entertainingly honest posts. The form’s been embraced by Carol Blymire, whose French Laundry at Home morphed into Alinea at Home. What’s great about blogs like these is that there’s a beginning, a middle and an end. You know exactly what you’re going to get. If you don’t want to dedicate your whole blog to cooking your way through something, you can eat your way through something when you travel. That’s why, when I go somewhere, I almost always ask my readers: Where Do I Eat In New Orleans? Where To Eat in Austin, Texas? This does several things: it allows me to connect with my readers, involving them in my day-to-day life because I really will use their advice when I travel. But also it creates an asset on the web: when people Google those questions, there’s a good chance my post will come up with all of your comments. And then, of course, it provides fodder for my follow-up posts, after I’ve made the trip and taken lots of pictures, I can write a New Orleans Wrap-Up or a post like Where I Ate in Austin, Texas. Eating your way through something is food blogging gold. People love lists. Buzzfeed built an empire based on that concept. If you can come up with a great list post, you’ve got something really valuable. For example, I did a post recently: 10 Signs You’re in A Good Restaurant. The post was picked up by Eater.com and tons of other sites. It was just a simple, straightforward take on what to look for when you eat out. But because of the format, it’s immediately appealing to people at work who want to know what to expect when they read something. When you have a list—10 things, 5 things, 11 things—you know: ok, I can scan this quickly and figure out if I want to read the whole thing. Also: it’s an opportunity to put your archives to work. So if you have a lot of content buried underneath your blog, you can dig it back up as I do every year when I write my “Best Things I Cooked This Year” and “Best Things I Ate This Year” posts. Why, even this post is a list and you’re loving it. See? 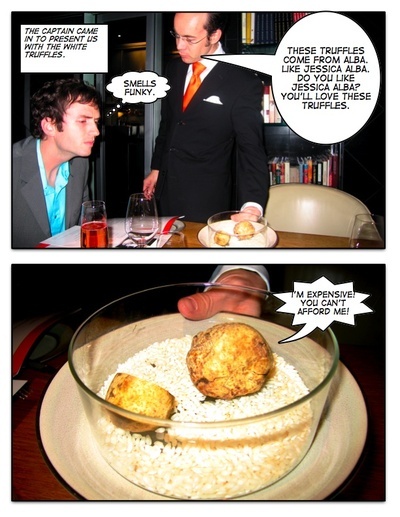 In 2006, I started getting e-mails from Alain Ducasse, which was New York’s fanciest restaurant at the time, about their white truffle tasting menu. They kept sending me these P.R. e-mails about this $300 a person dinner and at some point I wrote back and said, “I can’t afford this, so the only way I can write about it is if I can come for free!” At the time, I was totally naïve. I had no idea that actually might happen. And then the P.R. person invited me and a guest to come and try it for free. So Craig and I went and had the royal treatment. They put us in a VIP room near the kitchen and poured endless bottles of wine and shaved expensive white truffles over everything. At some point, Craig got so drunk, he sang “The Facts of Life” theme song and I made a video. When it was all over, I had no idea how I was going to write about this. Would I write a formal review? Review it like a real restaurant critic while disclosing that it was free? How could I do that and not be unethical? And, really, what did I have to say on the subject? Guy Kawasaki called it “one of the cleverest blog postings I’ve ever seen.” And the post won a food blog humor award that year for funniest post. So: be creative with your storytelling! I’ve since used the comic book format to describe our trip to El Bulli, Diana’s surprise birthday dinner at The French Laundry, etc. But you could be creative in different ways: illustrate your post with drawings. Animate your post. Recite your post aloud. The possibilities are endless. Now here’s the thing: when I started my blog, I was happy to go negative. If I was riled up, I thought of my blog as the perfect outlet for that. 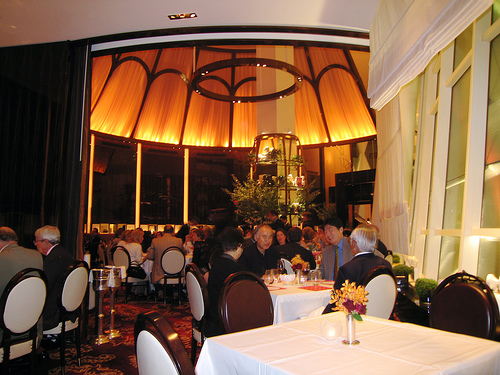 So when I went to Le Cirque with my parents a few years ago, and we were treated really poorly and the food was mediocre and the service worse, I wrote a post called “Only A Jerk Would Eat at Le Cirque.” It caused quite a scandal; Sirio sent a package to my mom begging us to come back. The Wall Street Journal wrote about it. It was kind of crazy. But now, in retrospect, I’m not sure if I would do that again. Because when you go negative, you attract a lot of negativity to your blog. The comments on that post were really vicious and there was a whole climate of vicious readers who’d write me nasty e-mails and say nasty things on their blogs. At some point, I decided to go mostly positive. If I ranted about something, it had to be something that really got me worked up in a way that felt universal… less about a specific meal at a restaurant and more about something everyone might be feeling. Like I did two rants recently: one about small plates, one about communal tables. The thing about doing a negative rant post is that it’s exciting, it gets people’s attention, it feels like you’re being provocative, because you are. And those are all good things. Just be sure to be artful in your rant… don’t just rant for the sake of ranting. Work on your language, think about what you’re trying to say and make sure you can stand behind it when you’re attacked. A simple way to bring attention to your blog is to commit to recapping one of the many, many food competition shows that are out there. 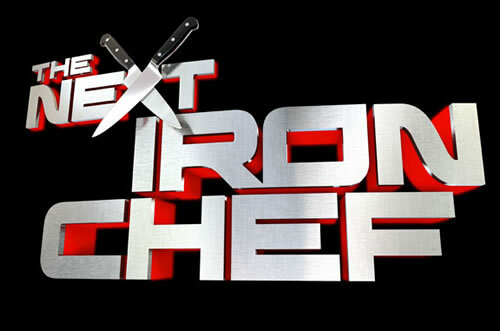 For a year, I was hired to do this for the Food Network on their site for Next Iron Chef… in fact, that’s how they became aware of me when I hosted a web show for them. But even if you decide to recap every episode of Top Chef or The Taste or Hell’s Kitchen, you immediately join a community of other people doing the same. Ideally your posts will be listed with others as a resource for people who want to find out what they missed on those shows. Mostly, though, it’s a chance to show off your voice. Eddie Huang wrote Top Chef recaps for Eater; now he has a book that’s getting tons of great press, a TV show etc. The wittier you are in your recaps, the more likely they’ll do something for you. It’s an easy subject if you’re looking for something to write about. For me, this is what food blogging is all about: putting yourself out there and forging a connection with readers. The post I’m proudest of writing happened during the It Gets Better Campaign. At the time, gay teen suicides were occurring on an almost weekly basis and Dan Savage encouraged gay adults to tell their stories to inspire gay kids that things really do get better. So I wrote a post called “It Gets Better (Cooking For My Boyfriend and our Families)” that’s probably the scariest thing I’ve ever published on my blog. It felt too emotional, too real. But that’s just the kind of feeling you want when you hit “publish”; my readers rewarded me with the kindest, most enthusiastic comments I’ve gotten to date. And then something unique happened: I saw an anonymous comment from someone saying they were still in the closet and struggling. There was an e-mail address so I wrote an e-mail saying I was here to help. And we began a correspondence that lasted several months, during which he came out to his friends and family. He kept gushing about how helpful I was, but I felt lucky to have been able to play this role for somebody else. I know this post is about traffic, but this last item isn’t really about traffic. Yes, being emotionally forthcoming will earn you hearts and minds in ways that being closed-off won’t (see: Orangette and Gluten-Free Girl for excellent examples of deeply honest, emotional food blogs that generate lots of traffic). The larger lesson, though, is that if you forget about traffic and open up to your readers, the results are far more profound than anything traffic will bring you. You may actually connect with a person whose life you might change. That, more than anything else, is food blogging’s greatest reward.